The majority of Sport Auto Group’s used vehicles offered have passed a Certified Inspection so extensive, that they qualify for our lifetime powertrain warranty at NO ADDITIONAL COST… even if the factory warranty has expired and EVEN if the vehicle has 50,000, 60,000 or OVER 70,000 Miles!!! 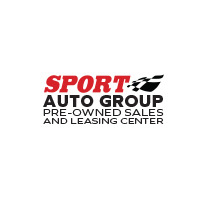 Wholesale to the public pricing and Value WITH WARRANTY COVERAGE AS GOOD AS NEW… only at Sport Auto Group. How do you certify your Sport Certified Lifetime used vehicles? Our Sport Certified Lifetime used vehicles go through a background check, so we know if the vehicle has ever been involved in an accident, flood, or fire; marked as a lemon; rebuilt or salvaged; odometer has been tampered with; and if there is anything out of the ordinary in the vehicle’s past. After it passes our background check, our maintenance technicians run a bumper-to-bumper inspection for a full mechanical check. When the vehicle is given the all-clear by our technician, we give it the Sport Certified Lifetime seal of approval. This lifetime warranty covers your vehicle’s powertrain, the costliest parts of a vehicle to repair. All you have to do is follow the vehicle manufacturer’s recommended service schedule found in your owners manual, and have your service handled at any licensed repair facility to keep your lifetime warranty valid. Best of all, you can choose where you want to take your vehicle for warranty service at a license repair center anywhere in the contiguous United States and Canada! For more information about the Sport Auto Group Lifetime Warranty on Sport Certified Lifetime used vehicles, reach out to our customer service experts at Sport Mazda or Sport Subaru South and we’ll be happy to help!